One of the most awe-inspiring natural plants in the world is known as the Travelers Palm, however this plant is not really a palm tree at all. The Travelers Palm is a palm-like plant from the Strelitziaceae family, similar to the Bird of Paradise. The Travelers Palm can make any area or landscape become a centerpiece of attention. The Travelers Palm has come along way from off its originally native habitat, Madagascar. What makes this plant so desirable is its awe-inspiring fan formation appeal from its large paddle-like leaves that can grow up to 13 feet long. It also has the ability to adapt to a wide range of soils and its ability to create a wonderful shaded area in the yard or the pool. The maximum average height of a Travelers Palm can reach over 50 feet and its trunk can reach over 2 feet in diameter. The Travelers Palm leaves usually spread over 20 feet long from tip to tip. 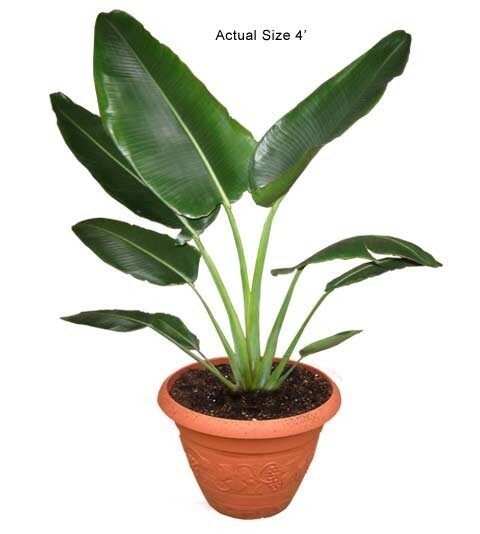 The Travelers palm enjoys full sun and thrives in moist soil conditions. It can be found producing thorn-like pods, which emerge between the leaves, year-round. Whether you have the Travelers Palm inside or outside, it makes a wonderful social piece and an immediate feel of the tropics. Another great aspect of the Travelers Palm is the easy maintenance with pruning. There is no need for a saw or other tool when pruning, the leaves of the Travelers palm just fall off.